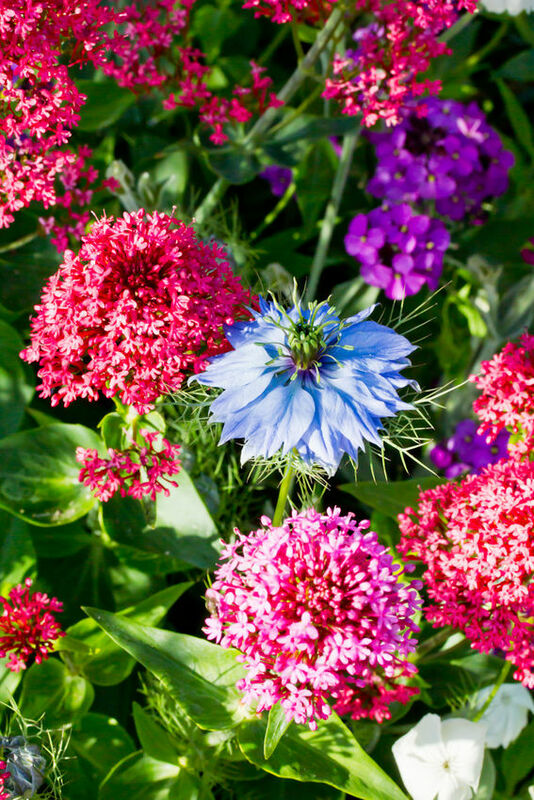 We have heard about the toxic plants we should avoid adding to our gardens to keep our cats safe – but what about the plants cat’s love? There are a variety of plant species kitties adore, many of which are great for their health too. 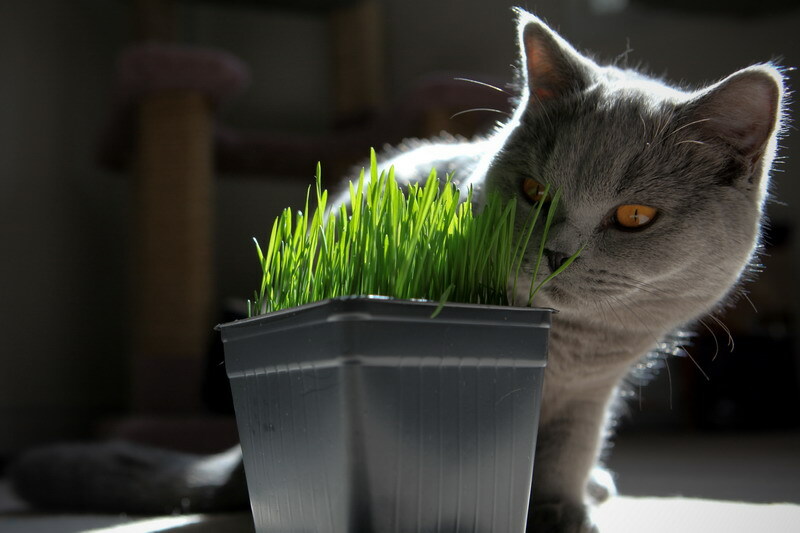 As its name suggests, cats are fond of Cat Grass. It helps cats with their digestion, and is great for dogs, guinea pigs and rabbits as well. 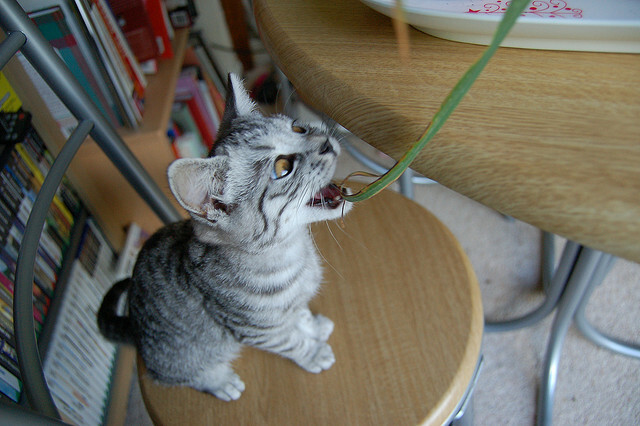 Cats absolutely love the smell of lemongrass and even enjoy a nibble or two. You can also add it to your cooking for a touch of Asian flavor. Funnily enough, cats despise the smell of lemons! Catnip holds a special place in the feline heart. Beware, your kitty may go a little crazy on the stuff and you may attract legions of neighborhood cats to your garden (seriously). Cats react to the nepatalactone in catnip leaves and stems. Upon contact cats have a psychosexual reaction – essentially ‘get high’ – for up to 15 minutes. Catnip also products pretty pink flowers that attract bees to your garden, helping with pollination of all your other plants. 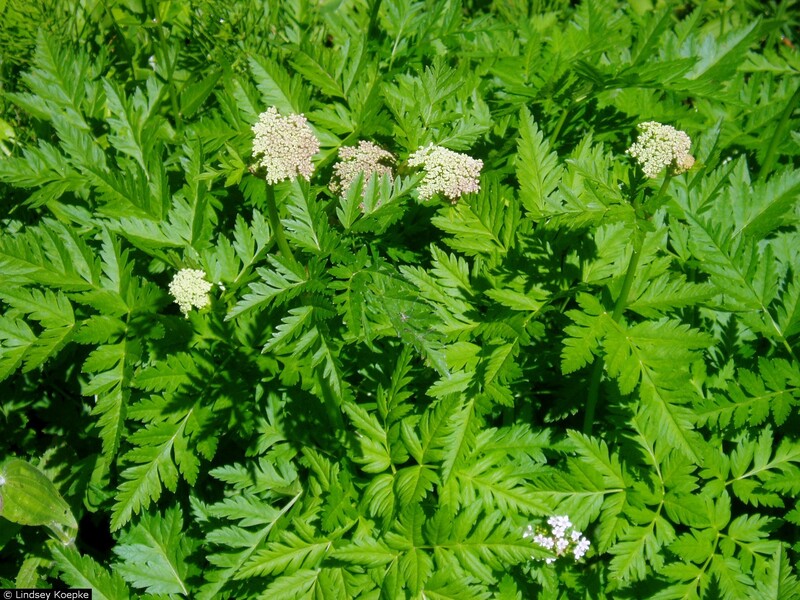 Valerian has a similar effect on cats as catnip. To us, the white and pink flowers have a pleasant sweet vanilla fragrance, making a great choice for pet and owner. In Valerian a compound called actinidine works as a semi-psychotic stimulant for kitties, sending them into a relaxed, purring fit. 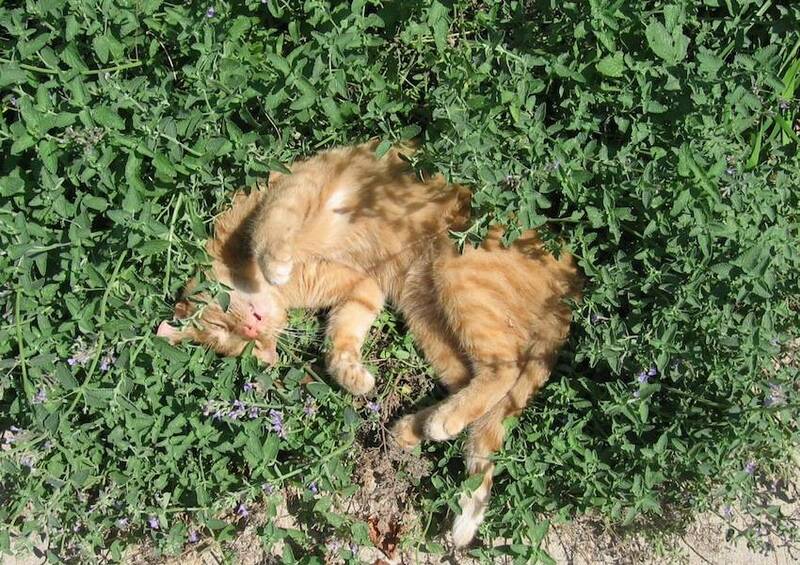 Cat thyme is another plant that sends cats into a frenzy. In spite of its name, it is actually not a variety of thyme but a germander. Some cats even prefer it to catnip. Unfortunately, human noses aren’t generally so keen. To us, it smells quite dreadful. Licorice root tastes yummy to cats and it is also good for them, especially those who have allergies, colds and digestive issues, as it is a natural cortisone and soothes mucus membranes. It also has cleansing and anti-inflammatory properties making it a great choice for people with elderly cats suffering from arthritis. Very useful information, thank you. I have 2 cats so I'm off to nurseries to find some of the above cat loving plants.